Photos From "Florida Trip 2001"
The water rides at the park (especially Congo River Rapids and Tidal Wave) are designed to get you wet so be prepared. 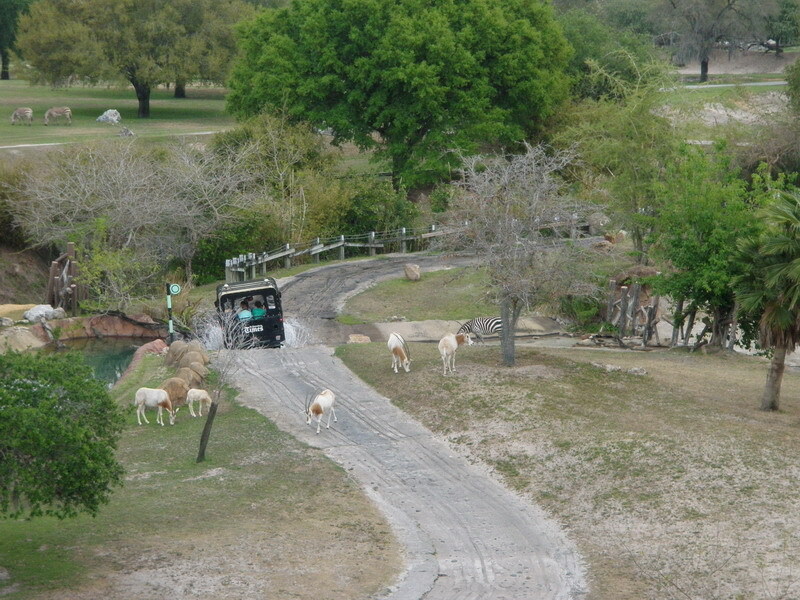 The Serengeti Express Railway and, Sky Ride all offer opportunities to view the animals. Lory Landing, Walkabout Way, Myombe Reserve, and Edge of Africa offer the opportunity to be closer to the animals to various degrees. Behind-the-scenes tours are available as an upcharge for private and more personal experiences. 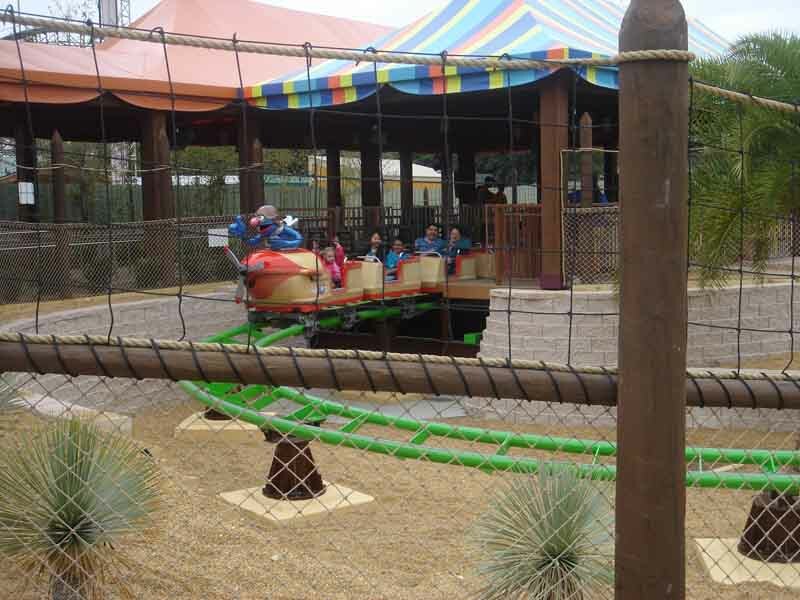 Kids can find solace with smaller rides and play areas in Jungala and the Sesame Street Safari of Fun. If you plan to spend the whole day (at least two sit-down meals) at Busch Gardens, the All Day Dining Plan is a good deal. The park has mutliple sit-down restaurants with above-average theme-park food that are included in the All Day Dining Plan. Zambai Smokehouse serves BBQ, Zangora Cafe offers healthy alternatives, Dragon Fire Grill offers Italian, American, Asian and Southwest cuisine. Howl-o-Scream is a nightly Halloween event in October with scare zones and houses requiring a separate admission ticket for entry into the park. All major coasters are open during Howl-o-Scream. Around June, the park hosts a Food and Wine Festival bringing unique flavors to the park. Travel SOUTH on I-75 to FOWLER AVENUE exit. #265. This exit is also the exit for the University of South Florida. Bear right on the exit ramp, and it will lead you directly onto Fowler Avenue. Proceed west on Fowler Avenue to McKinley Drive. (McKinley Drive is the first light past the main entrance to the University.) Turn left on McKinley. Proceed south on McKinley to parking and the main entrance to the park. Travel NORTH on I-75, past the intersection of I-4, to the FOWLER AVENUE exit #265. This exit is also the exit for the University of South Florida. Bear left on the exit ramp, and it will lead you directly onto Fowler Avenue. Proceed west on Fowler Avenue to McKinley Drive. (McKinley Drive is the first light past the main entrance to the University.) Turn left on McKinley. Proceed south on McKinley to parking and the main entrance to the park. From Orlando: Travel WEST on I-4 to I-75. Go NORTH on I-75 to the FOWLER AVENUE exit #265. This exit is also the exit for the University of South Florida. Bear left on the exit ramp, and it will lead you directly onto Fowler Avenue. Proceed west on Fowler Avenue to McKinley Drive. (McKinley Drive is the first light past the main entrance to the University.) Turn left on McKinley. Proceed south on McKinley to parking and the main entrance to the park. From St. Petersburg: Travel NORTH on I-275 to the FOWLER AVENUE exit (Exit # 51, Exit # 34). Turn east (right) onto Fowler Avenue and proceed 2.5 miles to McKinley Drive. Turn south (right) onto McKinley and proceed to the main parking lot entrance. Busch Gardens Shuttle Mears Destination Services offers round-trip motor-coach transportation from several Orlando-area locations to Busch Gardens Tampa. •The fare for round-trip transportation is less than $20 per person from Orlando attractions (payable at the Busch Gardens Service Desk once you arrive). Transportation is complimentary with multiple-park tickets. •Passengers are responsible for transportation to and from the designated pickup and drop-off locations in and around the Orlando area. Mears Taxi services are available at a minimal charge by calling (407) 422-2222. •Arrival time at Busch Gardens is subject to change: could be as late as 11:30 a.m.
•Departure time from Busch Gardens depends on the park’s closing time. Please call the number below for exact departure time. •Number of stops for each shuttle are not determined until day of trip. Your shuttle could potentially have a maximum of 3 stops on the route. •For additional information please call 1-800-221-1339. Many budget hotel chains are located close to the park on Busch Boulevard, but unfortunately these motels are not well kept. Two versions of Busch's Quick Queue are available. Regular Quick Queue gives you one-time front-of-the-line access for all the coasters and water rides. Unlimited Quick Queue is exactly what it says for the same rides. Note that some attractions using Quick Queue restrict you to a particular row of seats. There is not a standout show at the park, and the animal attractions are recognized as better options when not riding. 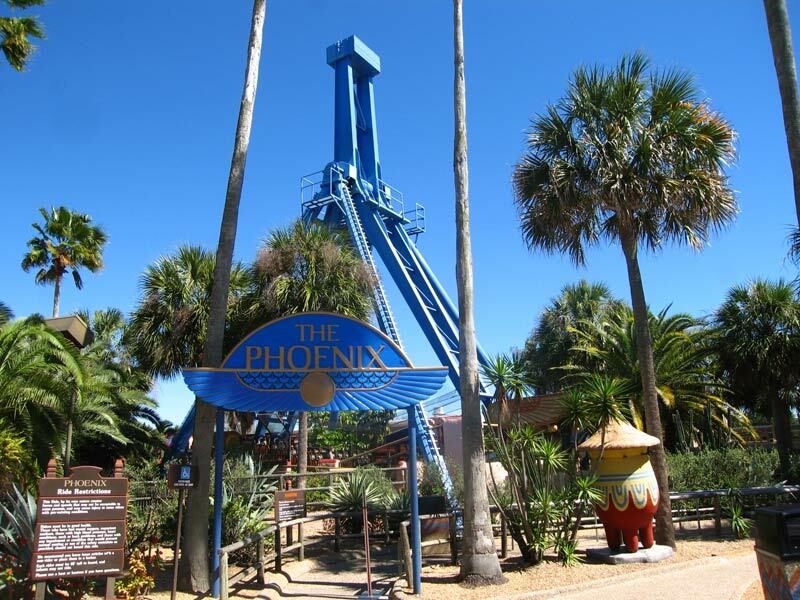 At just an hour away from Orlando, this well-themed park is a must for any Florida vacation. 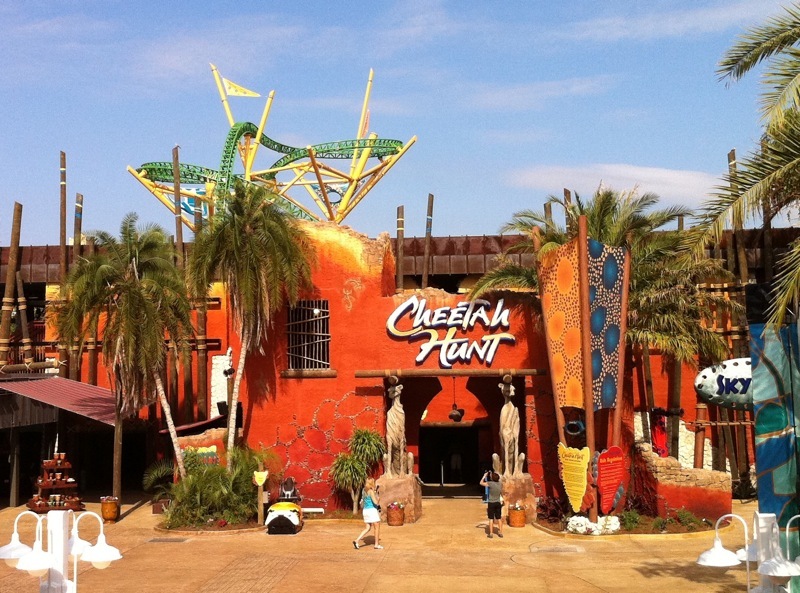 There are several world-class coasters for the older kids and young-at-heart adults, multiple water rides, and a small collection of older flat rides interspersed throughout lush African and desert terrain with animal exhibits. Children will have to be entertained mostly by the animals and the Jungala play area and Seasme Street-themed attractions. Multiple exotic shows and street performers entertain throughout the park, and food quality is generally above-average theme-park fare. Keep in mind that this park can be very hot during the summer with hot/crowded queues and very few air-conditioned areas. A slate of world-class coasters are likely to bring guests here. Quality all around will bring them back. 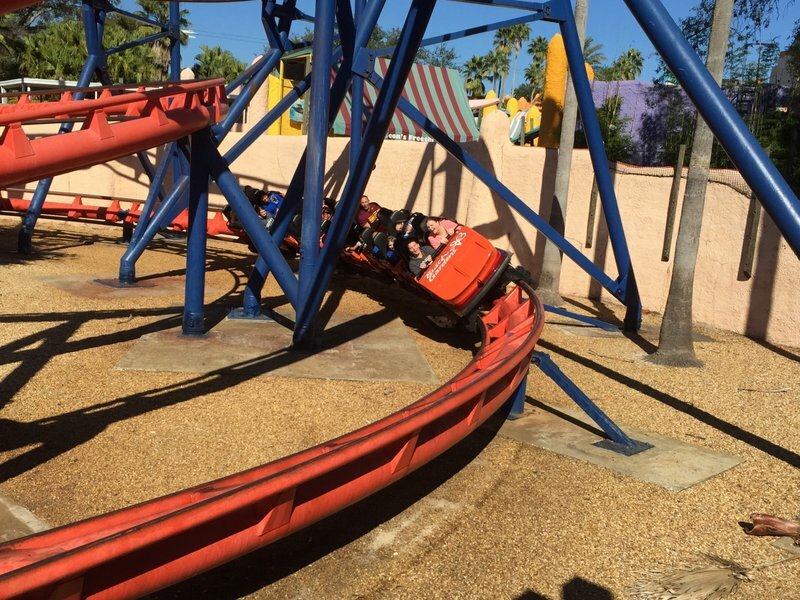 Sheikra is the only coaster in Florida that can genuinely terrify even season riders. 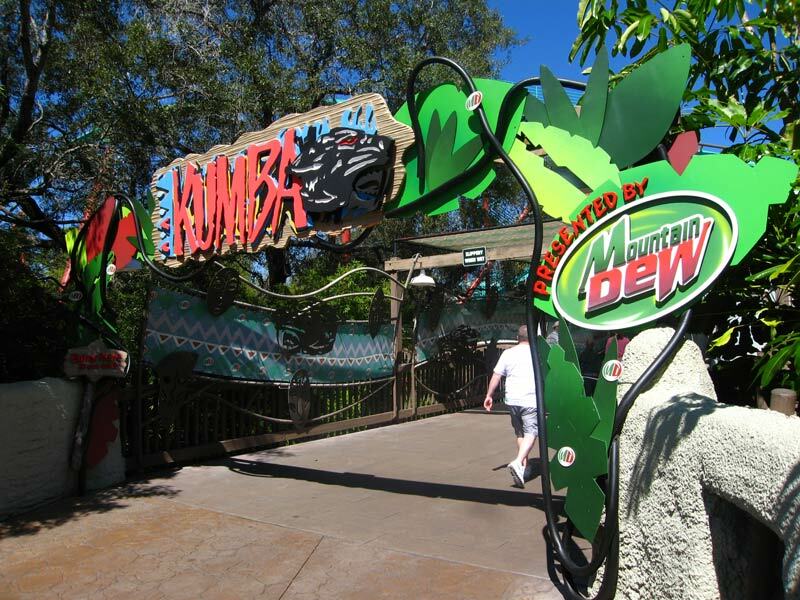 Kumba and Montu are easily amongst the best (or the best) of their type. Cheetah Chase is quality, if a little forceless for its size. The park is much more than coasters, and everything from the animal habitats to the restaurants are well done. For some, negatives may include the layout and the lack of flat rides. The park is massive, which makes going from coaster to coaster difficult, but I enjoy the space between and the pleasant nature of its gardens and animals. Busch Gardens more than holds its own against Disney and Universal. 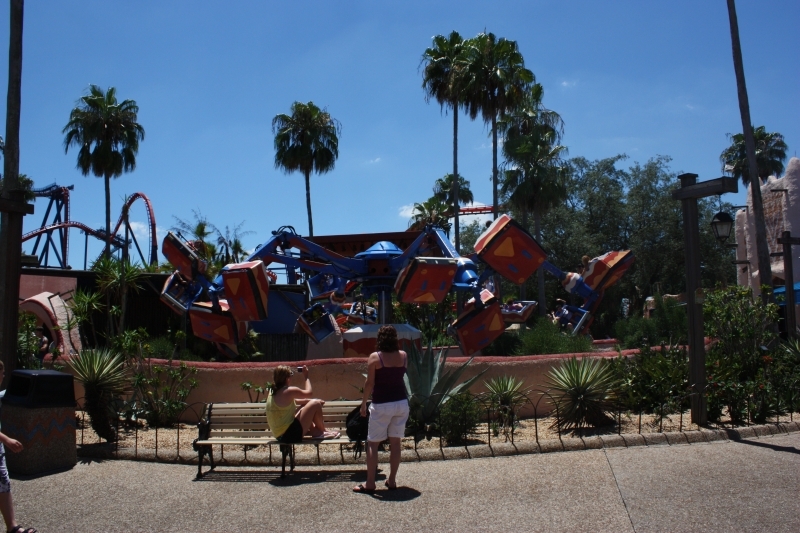 On 9/11/14 I had the pleasure to visit Busch Gardens Tampa. And I wanna go back. This was an excellent park filled with excellent attractions (except Gwazi). Highlights include Kumba, an awesome B&M sit down (which is now my #1 coaster), Montu (a fantastic B&M Invert), and Cheetah Hunt (an Intamin launched coaster). Sheikra and Scorpion are good too and Sand Serpent is meh. Gwazi is awful though. One thing I didn't like was that the park was a pain to navigate, so be prepared to do a lot of walking. Overall, this park is a much visit for any enthusiast or pretty much anyone really. I give it 4.25/5 stars, which is a gold rating. BG Tampa was described to me by someone who had been many years ago, by comparison they told me that it had not lived up to quite what it used to be. 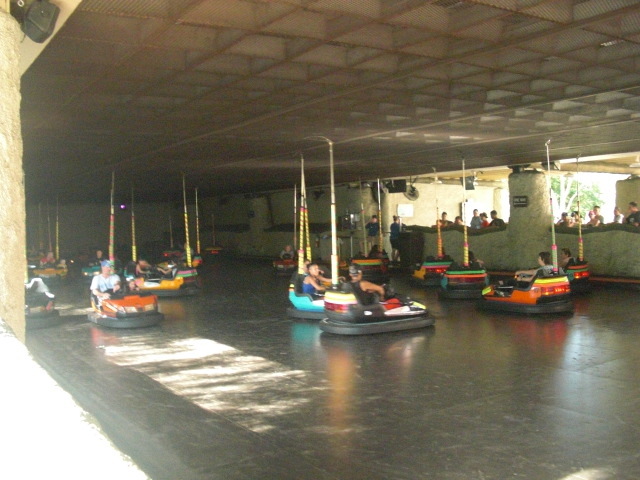 But lets live in the now, it is a fast-paced, animal packed thrill park. The rides are excellent, the theme-ing gets 8.5/10, and my time there is always exciting. Only poor parts for me: The way Sesame Street characters were just wandering around certain parts. Some theme-ing seemed old and poorly kept and finally a large number of closures when i happened to be there... including one ride that stopped when i was on it. I loved this park. The coasters are amazing. You all know that. Very high quality B&M rides and Cheetah Hunt is solid. The park lacks flat rides, but you don't notice at all. There are animals everywhere to entertain. There are some great exhibits. Then, Rhino Rally is good enough to make you forget about no flat rides. 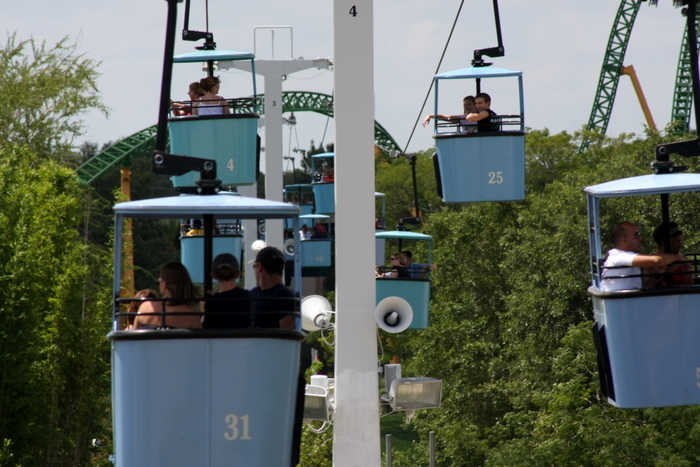 The sky ride is essential to navigating the park, especially for re-rides. Saves a lot of walking. Do the all day dining plan or we aren't friends. Great food everywhere, especially the BBQ (coming from a KC native). Eat breakfast, lunch, and dinner. And might as well do it twice. The food selection is seriously top notch for an amusement park. BGT has a very different feel from its counterpart in Virginia, but each has advantages. The zoo and ride aspects are both great. Montu, Kumba and Sheikra are a great assembly of B&M's finest, and Cheetah Hunt offers a ride that's beautiful to look at and see animals from. The train through the plains is not to be missed, nor is the Skyride. Both are also great ways to cut walking out in this huge park. Food is good, especially the Smokehouse near Sheikra- just be careful not to overeat with an all-day dining plan! 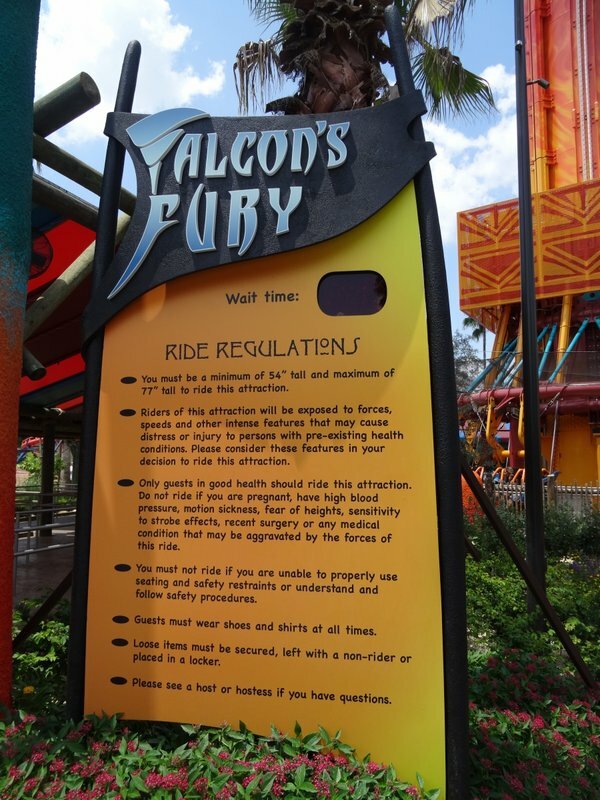 There does seem to be a lack of flat rides, but with so many coasters, the water and transport rides and all the animals I doubt anyone would feel a need to go on the same flats as any normal park. 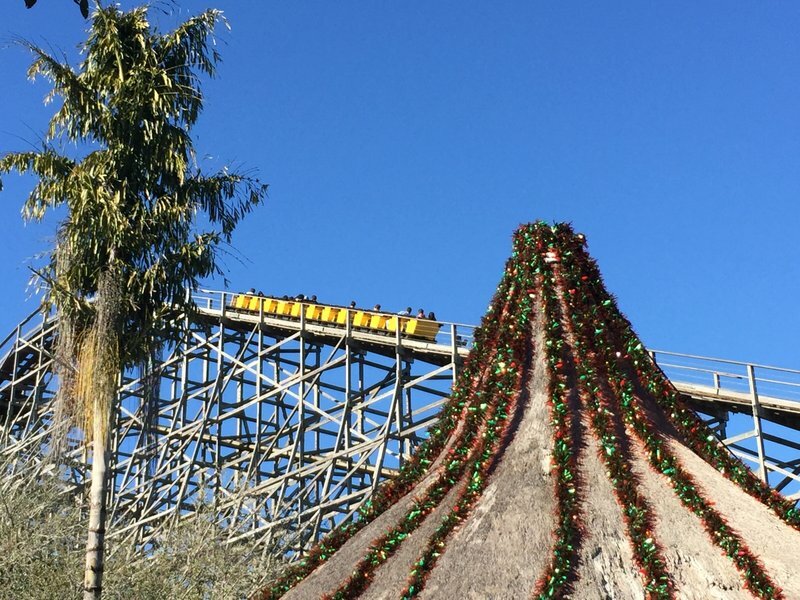 Busch gardens Tampa is a beautiful park with wonderful scenery. Small disapointment in lack of flat rides. If BGT took BGW operations and infused them into the park, I could rank it five stars. The food is outstanding and the overall park is beyond amazing. They offer three of the best coaster in the country, interactive animal adventures and a peaceful feeling. Everyone should hit up BGT at least once in life. Busch Gardens Tampa has some of the best coasters in FL, with three amazing B&Ms, an Intamin LSM launcher, a Schwarzkopf Looping Star and more! 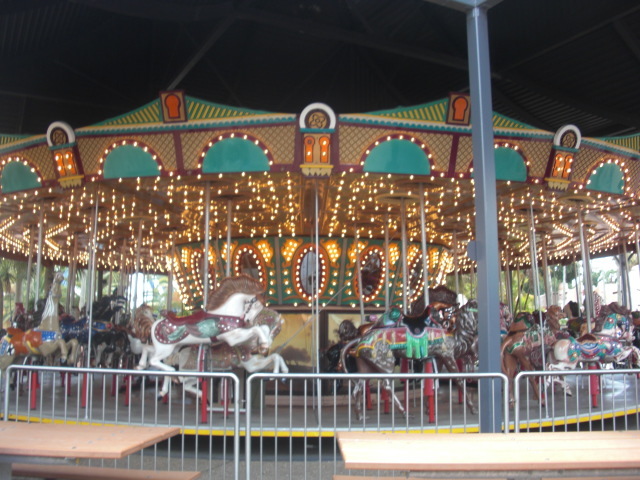 The abundance of rides mixed in with top notch animal attractions provides a wide spectrum of entertainment options, allowing anyone to come to the park and have a great time. The food is decent, and if you purchase a Quick Queue and an all day Food Pass, you can do multiple circuts around the park, without having to lug around 20+ watter bottles. The only dislike I have is the park's ridiculous and convoluted layout that takes a bit of getting used to. Busch Gardens boasts one of the best steel coaster collections in the country: SheiKra, Montu, and Kumba are all great rides. The addition of Cheetah Hunt rounds out the coaster collection to provide a little less intensity, and some fun airtime. The animal aspect of the park makes for a lot of exhibits and some great scenery. 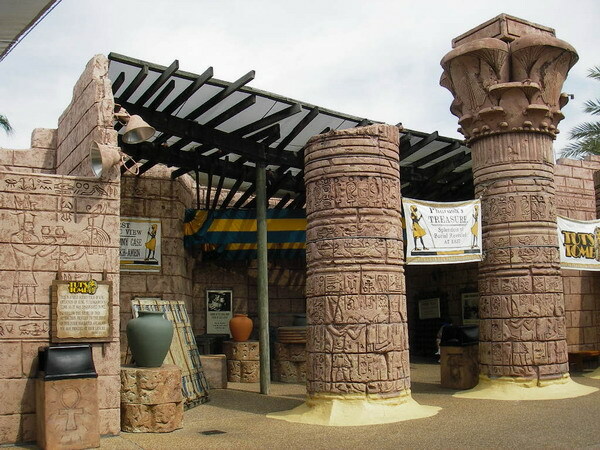 Busch Gardens Africa in Tamp, FL is one of the best parks in the reagion with an incredible mix of rides, animal exhibits, and seasonal events that make the park a must see in the Central Florida theme park market. Sheira, Kumba, Montu, and Cheetah Hunt are 4 of the best steel coasters in the world. Kumba in particular while the oldest of the bunch is still absolutely awesome and is a top 10 must for any coaster enthusiasts! 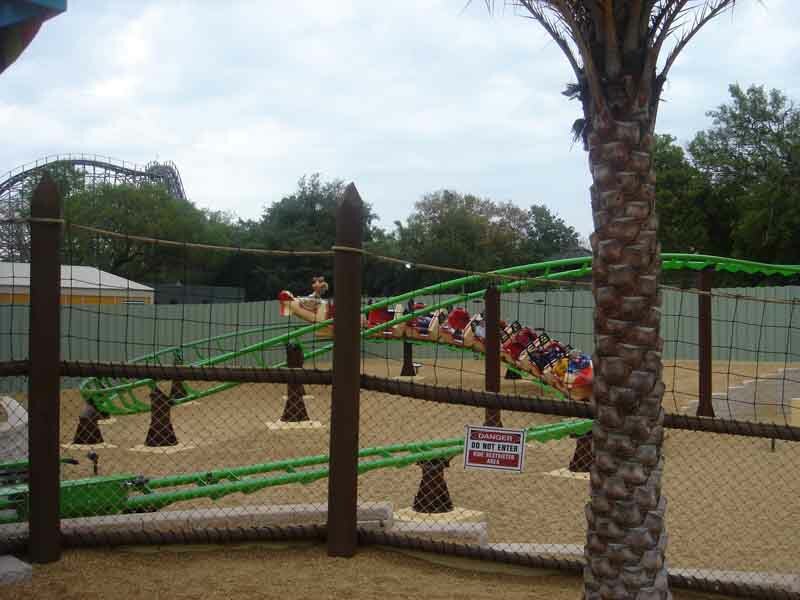 The park also has 2 of the best kids sections around with Sesame Street Safari of Fun and Jungala. Jungala is a spectacular environment that combines 2 beautiful animal exhibits with several children's rides and play areas. 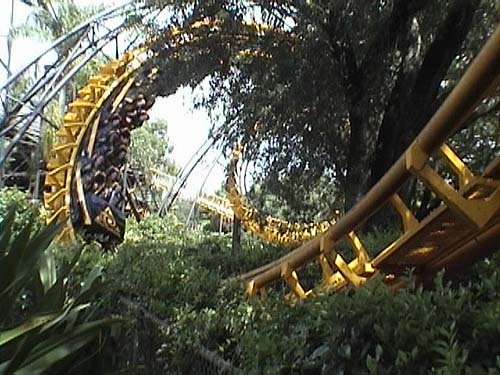 Busch Gardens is a great park, one of personal favorites, and a must see. What a surprise. Not only are the attractions amazing beyond explanation, but the animal encounters are awesome, and there are also some great shows!! 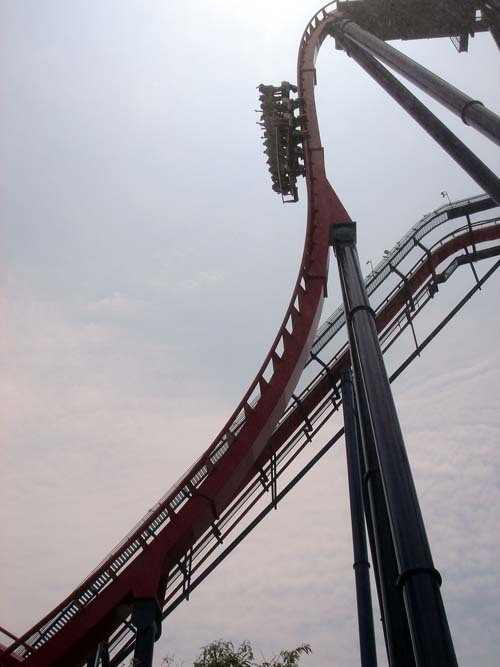 SheiKra is a must ride, and is also just awesome to just observe as it travels the course. Nice location. Not to far from Clearwater beach as well, which is a plus!! The vegetation you will find around the park is all so interesting to see!! Very great atmosphere, a nice park to enjoy for the day!! Wow. The rides here are amazing. With a great variety of coasters like Cheetah Hunt, Gwazi, Kumba, Montu, and SheiKra, along with some awesome theming, these rides are what I can call, EPIC! 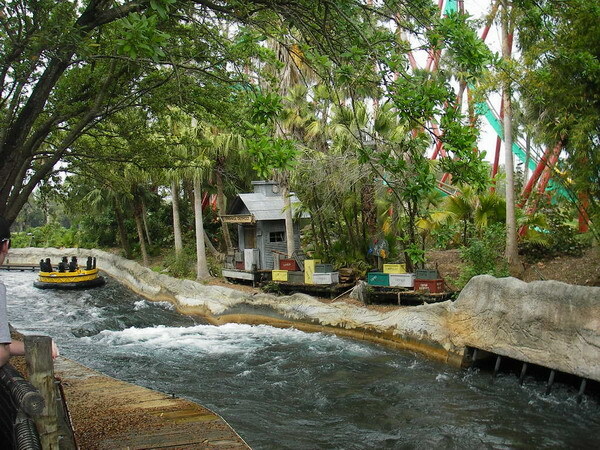 There is also a great variety of water rides and some pretty sweet animal rides. Overall, I do not see how this park can really improve its ride selection. Want to visit Africa but don't have the money? Just visit Busch Gardens Africa. See hundreds of animals including cheetahs, lions, hyenas, hippos, giraffes and more in this lush environment. Not an animal person? 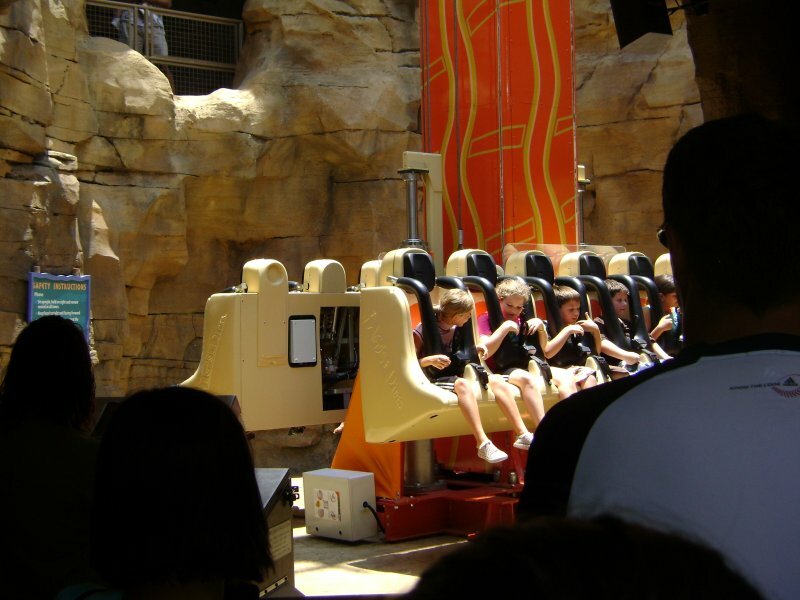 Ride dozens of rides including the popular Sheikra, Kumba, Montu and Cheetah Hunt. Like shows? Watch one of many live shows including Critter Castaways, Dance to the Music and more. overall. Busch Gardens Africa is one of the best theme parks I have ever been too. 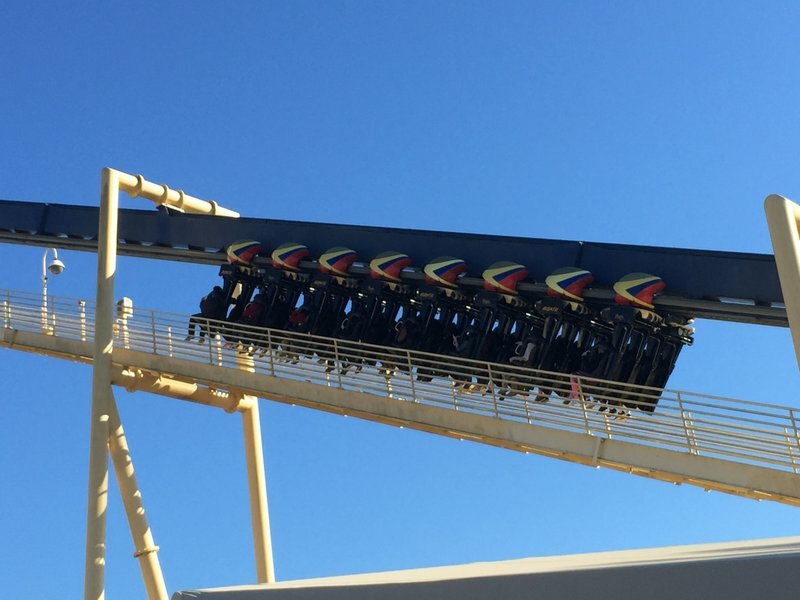 Busch Gardens is great for seeing lots of animals, as well as riding some world class coasters, but there is a major lack in flat rides, as well as rides for the younger crowd. The park has three very nice water rides for the hot Florida days, but poor operations on two of them create long, slow moving lines. BGT also provides great entertainment, with amazing shows that i as blown away by, such as the now retired Kantonga and the seasonal Kinetix. All in all, BGT is a great park, but I hope over the next few years it can become more well rounded by adding more flats and more rides for young kids. 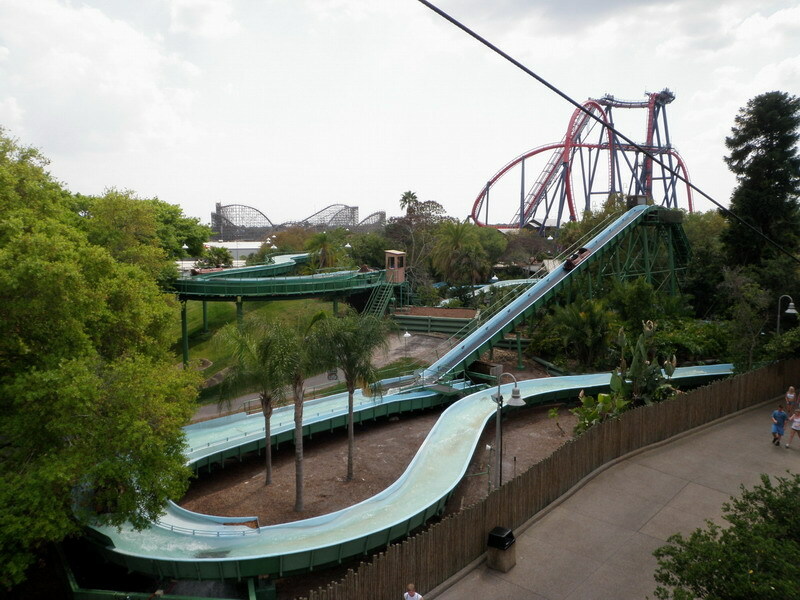 I've been visiting Busch Gardens Tampa since the late 70's and it has grown by leaps and bounds over the years. Their animal encounters are second to none. Where else can you get nose to nose with a tiger or lion or hand feed and pet kangaroos and wallabies (besides Australia)? The entertainment is top notch, lots for the kiddos to do with Sesame Street Safari of Fun, Jungala and some kiddie rides in Timbuktu as well. The food is quite good and a fair value (I recommend the spaghetti & meatballs at Desert Grill). And if that's not enough... Busch Gardens is home to some of the best coasters on the planet! There's something for everyone at this park. Bush Gardens Africa is a great park, they have a great collection of rides and coasters, their water rides are amazing, they have very good scenery, very good food and great animal displays. They have a great collection of B&M's, Montu and Sheikra are amazing! Bush Gardens Africa is simply an amazing park. Busch Gardens Tampa is an excellent park for 1) coaster buffs and 2) zoo ehtnusiasts. The park very cleverly combines an excellent collection of coasters (particularly Sheikra and Montu) with some very well done animal habitats representing all regions of Africa. 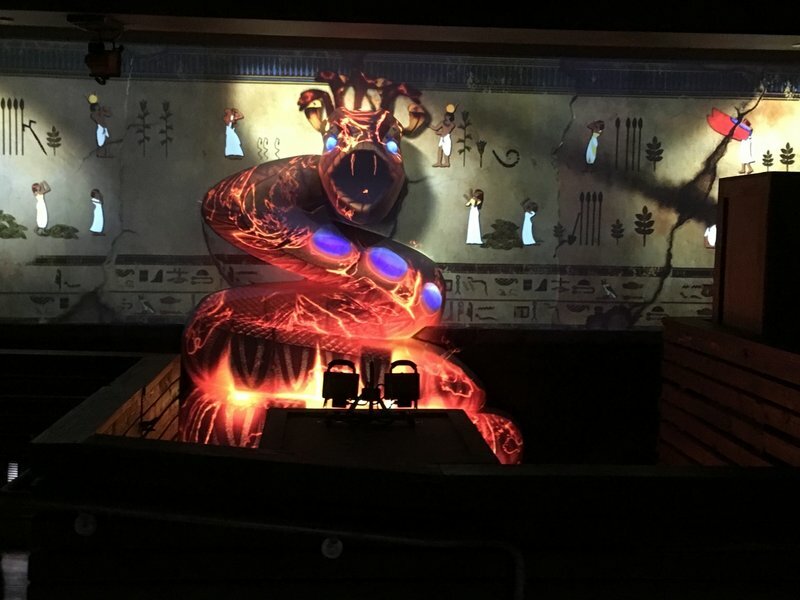 The park's biggest weaknesses are 1) a lack of flat rides, 2) a difficult-to-navigate layout, and 3) food that is a cut below what you can get at Busch Gardens Williamsburg--but these are fairly minor complaints. 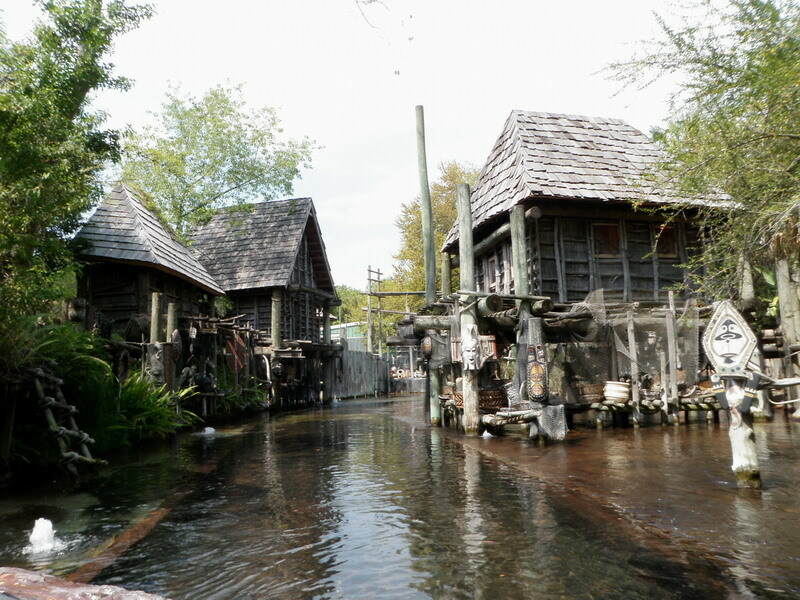 Theming is excellent overall, and the park's soaking water rides are a blessing on a hot Florida day. I love BGT! 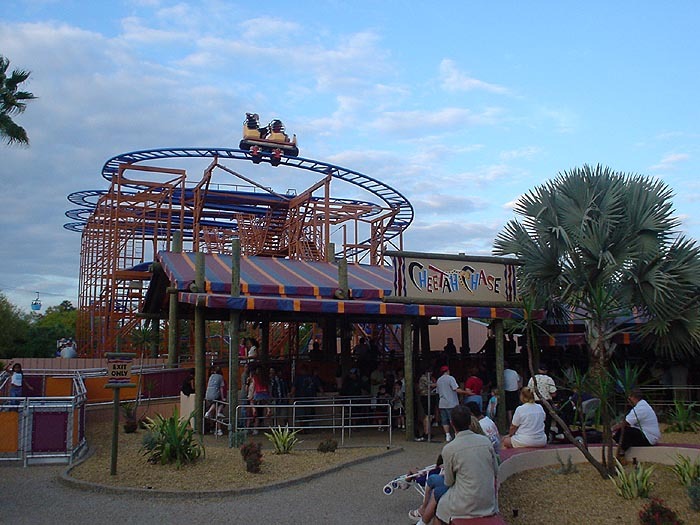 They have a GREAT selection of roller coasters and a just as awesome selection of animals. Unfortunately there is a lack of kiddie rides, but with Jungala and the new Seasame Street area there is a good amount of stuff for the kiddies. BGT is a must see park! Lovely mix of animals and rides. Some of the best steel roller coasters on the planet are found here. Sesame Street area will be very popular for young children. Very spread out park with only two kids areas and very little for kids to do outside of these areas. Despite the hot-and-humid climate the majority of the year, there is little air conditioning to be found near rides and food outlets.